Yesterday a friend pointed out that about every 3 months I go on a quest to find a new music player. When I think I have found “the perfect one” I end up repeating the same quest. Those who are regular readers of this blog know I have covered several music players over the past 18 months. I think my indecisiveness started back when I went on my iTunes rant. Since then I am still looking for the crown jewel of players. Well, for now I think it is aTunes which is an Open Source Java based music player. I briefly covered aTunes version 1.7 over a year ago. At that time is was not my main audio player and was a bit buggy at that time. The newest version 1.9 is much improved. aTunes is cross-platform and works on Windows, Linux, and OSX. After installation the first thing to do is point to your music directory and populate the aTunes Repository. 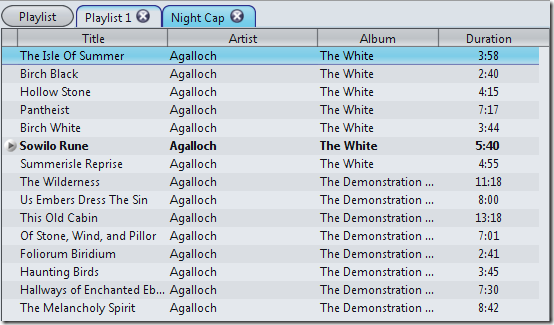 I pointed the Repository to my FLAC collection and it took very little time to populate all of my albums. Another impressive feature is an area on the left side of the user interface where you get artist information. When I first played an Anathema song, I got a report on the band and also a list of other albums from them. On top of that by clicking the Song tab you get all the lyrics to the song currently playing and the album cover. There is the similar artists tab where you get a list of artist who play the similar genera to the artist you’re listening to. 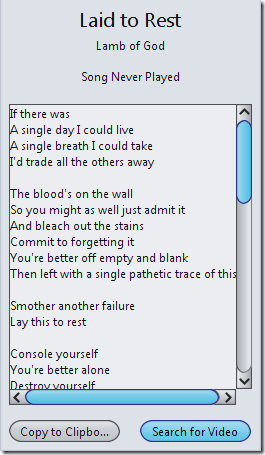 This is a list of artists I got while playing a Megadeth album. 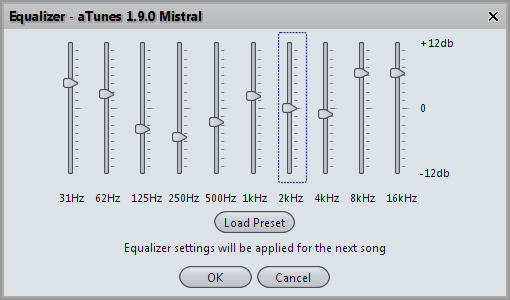 An easy to use EQ comes with the package loaded with about 15 different presets. The main focus of the default setup is the playlists that you can easily tab through which I thought was a great feature. This helps me keep different styles organized with different lists. 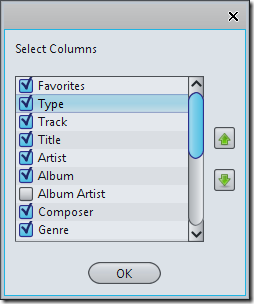 Organizing the columns in the playlists just check or uncheck what you don’t need to see. 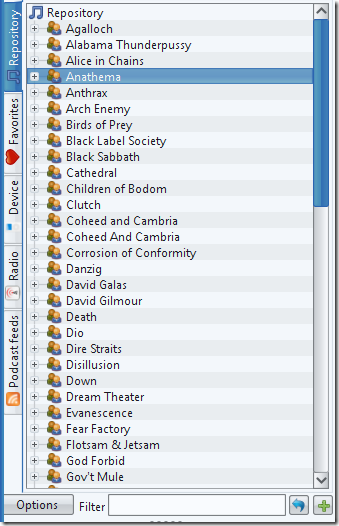 Yes you can get all your favorite podcasts as well just enter in the RSS information. Under the Song Information there are 2 buttons. One to copy the lyrics to the clipboard so you can put them into documents, and Search for Video – this will go out to YouTube and find videos from the artist playing. That is a cool feature! Showing album and song information as well as the player controls are below the playlists. Support for Last.fm and since it does, I created a Last.fm profile. You can add me to your friends if you want. aTunes includes a album cover navigator and like in iTunes you can download ones that are missing. Formats supported are mp3, OGG, WMA, WAV, FLAC, mp4, and RM. A large list of online radio stations, CD ripping, and several skins included. You can use it with mp3 players too. I am going to stop at this point but there are several more features and options I have not yet covered. I recommend installing this player and playing around with it more. I am extremely excited about this one. I think I found my new music player … (at least for the next 3 months).